I took something of a long weekend; one of my good friends from high school was in Colorado and it was wonderful to see someone who is familiar with a good chunk of me from age thirteen forward, in all my dorkiness and unwieldiness during those years. He was my old neighbor two blocks over; if I stood in my front yard and yelled really loudly, he could hear me and vice versa. We tested this theory several times over the years. After I picked him and his friend up from the airport we wound up on the slightly janky, late-night special stretch of Colfax that I love, eating amidst dive bars at Pete’s (Greek) Diner [pictured right]. I got the best gyro I’ve ever eaten; I’ve been told that I am too enthusiastic in talking about it. They say it’s just a sandwich. They are so wrong. Just thinking about it now makes my week more bearable. 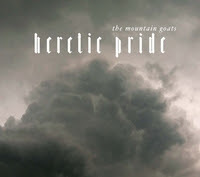 I am excited about the range of songs I’ve heard off the new Mountain Goats album, Heretic Pride, out this week on 4ad. My heart stopped beating the moment that I heard the opening notes on this gorgeous song from the pen of John Darnielle [1, 2]. If you haven’t heard them before, the incisively stinging vocals remind me a bit of The Decemberists, with some of the most hyperliterate lyrics you’ve ever heard. This song begins with the vista of “we got in your car and we hit the highway, eastern sun was rising over the mountains. Yellow and blood-red bits, like a kaleidoscope.” Somewhere along the journey he utters the reassurance that “it was hard, but you are brave, you are splendid, and we will never be alone in this world.” Sigh. What more could someone really ask for? This is a hotly anticipated album for me as I just start to grow more familiar with John Darnielle’s work. The Mountain Goats are playing three shows at the upcoming NoisePop fest in San Francisco. New these days in Best Buy stores, you can get the matadoriffic White Stripes Conquest EP bundled with 2007′s Icky Thump album. Cool because they added tiny Beck as a producer and a performer for these living-room session songs, on this tune you can clearly pick up Beck’s voice (and piano) in a twangy back-porch stormer all about the perils of fame. 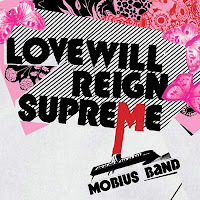 Brooklyn electro-indie dudes Mobius Band gave away a nice six-song EP of covers to show their heart for you on Valentine’s Day. This Daft Punk cover is my favorite of the bunch — their version is quirky and perfect for my next mixtape, as it reveals the memorable melody with less robot voice. 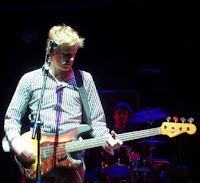 But the EP also has songs originally by Neil Young, The National, Daniel Johnston (who is on tour?! did I read that right? ), Casiotone for the Painfully Alone, and Bob Dylan. Quite the selection for you to choose from, and what better way to say I love you than free music? Exactly. 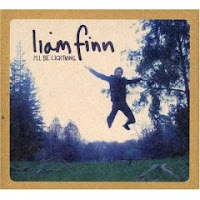 Tagged with beck, liam finn, mobius band, monday music roundup, mountain goats, spoon, white stripes.